Billions of dollars flow into conservation every year, but that’s a mere trickle compared to the tsunami of investment flowing into sectors that chew up forests and contaminate rivers. Norway’s Pension Fund says those days will soon be a thing of the past, and this week vowed to incorporate deforestation in its ethical investment policy in order to avoid investments in activities that kill trees. 15 November 2012 | When it comes to saving the world’s dwindling rainforest, Norway has been a leader in guiding the world toward sustainable forest management. The small country pledged $500 million annually toward REDD+ (reducing emissions from deforestation and degradation) in 2007. These efforts, however, have largely been offset by the Norwegian Government Pension Fund-Global, (GPFG), which currently has US $13.7 billion invested in sectors known to be major drivers of deforestation. Colloquially known as “Norway’s Pension Fund”, the GPFG has ratcheted up its investments in forest-unfriendly endeavors such as oil palm plantations, cattle ranching, and mining over the past year, according to the Rainforest Foundation Norway and Friends of the Earth Norway, which jointly published their findings in “ Beauty and the Beast-Norway’s investments in rainforest protection and rainforest destruction”. The Fund, however, says it is now incorporating rainforest protection as a key component of its ethical investment policy. Details of exactly how it will achieve that remain sketchy, but transparency advocates say the decision is part of a larger investor-driven trend towards more environmentally-friendly supply chains. “Most investors have limited knowledge of their impacts and dependencies on forests and natural capital, and are collectively deploying vast amounts of money towards activities that are eroding the resource base upon which everyone’s future financial security depends,” says Andrew Mitchell, Executive Director of the Global Canopy Programme and Chairman of the Forest Footprint Disclosure Project. The Fund’s decision could indicate a shift in responsibility and awareness for investors. Mitchell hopes other prominent players in the financial sector will follow with similar policies of their own. Companies responsible for deforestation now get a message from one of the world’s largest investors that it is unacceptable to continue destroying rainforests for profit, says Lars Lí¸vold, director of Rainforest Foundation Norway. Investment in beef, soy and palm oil in tropical forests countries accounts for $92 billion annually. The Fund’s ethical investment policy includes an ‘ownership dialogue’ on certain topics with companies in the Fund’s portfolio. Key topics are children’s rights, water management and climate change risk management. Tropical deforestation would fall as a specific subject under the Fund’s work on climate change. 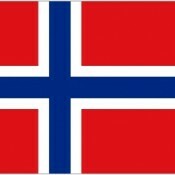 Norway’s Pension Fund hasn’t unveiled how these dialogues will take place or if they will be available to the public. The Rainforest Foundation Norway, who has been monitoring the Fund since 2007 trying to force a change in the investment policy, is demanding transparency on how the dialogues will be implemented.